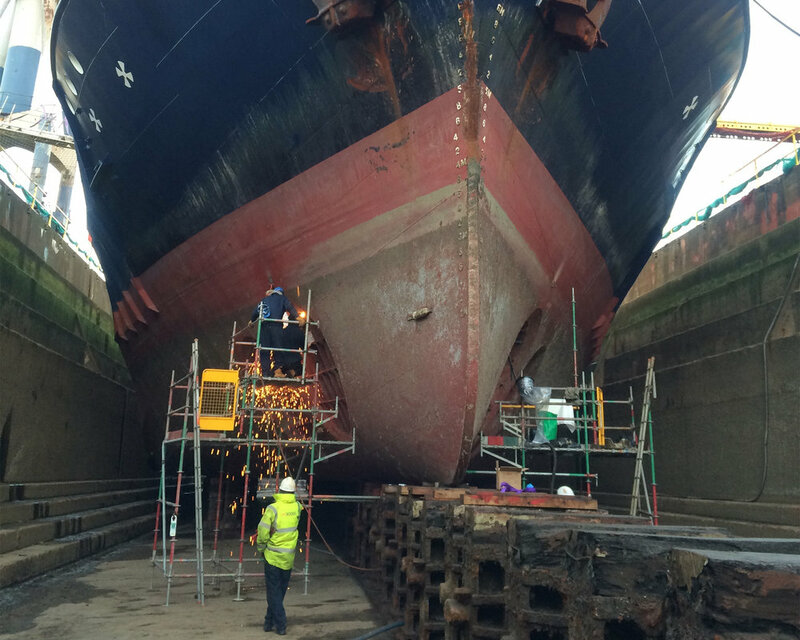 UK Docks Teesside offers two dry docks and afloat facilities for repair, refit, conversion, and engineering to marine, offshore and industrial companies throughout the world. The yard is located within the Tees Offshore Base and is fully equipped for all ships repair and ship conversion requirements. Both dry docks and the repair berth are fully serviced with shore power, fresh water, ballast water, sewage and waste oil collection. Dedicated offices for superintendents, which include Internet connections, toilet and shower facilities and dedicated car parking. Our dedicated workforce includes project managers, fitters, steel fabricators, ships plumbers, riggers, tank cleaners, painters and shot blasters. All tradesmen are time-served and all welders are coded. UK Docks is located within the Tees Commerce Park with manned access points and patrolled security. In addition, the site has secure 2 metre high perimeter fencing and dedicated yard security when required.